Spring have you itching to get away? If you’re torn between a cultural experience and an off-the-beaten-path adventure in the great outdoors, look no further. We’ve curated a list for you of our fave outdoor adventures in Dallas, Denver, and Washington DC. From botanical gardens to nature preserves to whitewater rafting, who would have thought that some of the busiest cities in the U.S. would have so much Mother Nature to offer? So lace up your favorite pair of comfy kicks and trek a trail by day, and then traverse the concrete jungle at night. What do these seemingly disparate cities have in common? They’re all hosts to Wanderlust events in 2019. 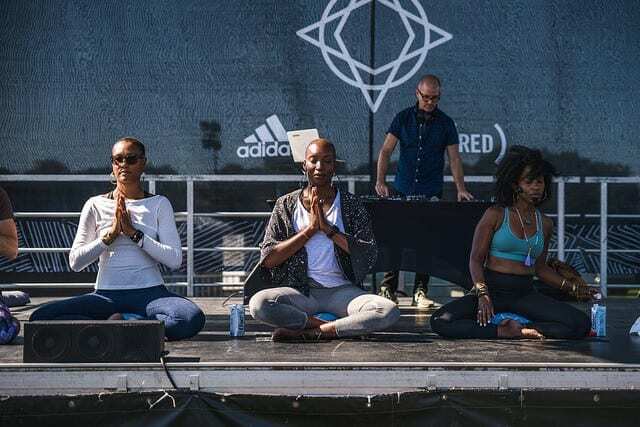 Catch Wanderlust 108 Dallas on April 13; Wanderlust Denver, August 10–11; or Wanderlust 108 DC, September 28. Grab a buddy, get outside, and don’t forget your sunscreen—or the bubbly water. Stay hydrated all day long and pack a couple cans of refreshingly crisp sparkling water in your backpack for an extra treat. Ready for action? Check out our 5 top spots in each city. See you on the road. As the third largest city in the Lone Star State, the historical “Big D” is ripe with cultural attractions and world-renowned architecture. It’s also the home of beloved Tex Mex cuisine. Despite the sprawling Dallas-Fort Worth area being the seventh largest in the U.S., there are many natural wonders to enjoy in this multifaceted urban area. Forget the tour bus! With Dallas Running Tours, you can explore the city by foot as part of a running group led by a knowledgeable guide and experienced triathlete, Eduardo Navarro Vaco. Cost is $35 for a 4-mile jaunt around the city, and $5 for each additional mile. The Spanish-style architecture of the 22,000 square foot structure nestled on the 66 acres that span the Dallas arboretum is adjacent to the picturesque White Rock Lake. The Dallas Arboretum is overflowing with stunning gardens and tiered fountains overlooking the downtown skyline. This natural habitat spans 600 acres, and features butterfly gardens as well as 9 miles of trails. Trees, wild grasses and flowers native to the area make for a tranquil stroll, and picnic areas are the perfect place to pause for a packed lunch. With birds, insects, reptiles, and animals roaming freely in this nature preserve, you might even forget for a moment that you’re actually still technically in Dallas. The Trinity River provides direct access to nature, connects communities, and even protects the area from catastrophic flooding. You can rent a canoe or kayak and set sail along the Trinity River either on a solo expedition or as part of a guided tour. 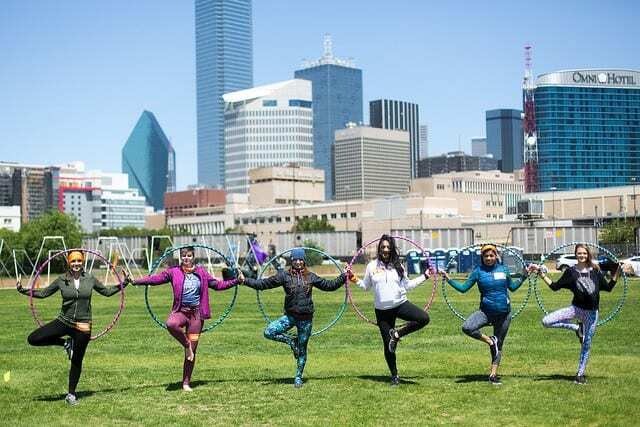 A feast for your eyes, ears, and taste buds, this 5.2-acre public park in the heart of downtown Dallas is an urban oasis that features food trucks, live music, its very own restaurant, Savor Gastropub, and much, much more! At exactly one-mile above sea level, downtown Denver is known as one of the most walkable urban areas in the country. Denver is very close to the majestic Rocky Mountains, boasting 140 miles of sweeping panoramic views of 200 named peaks—32 of which soar above 13,000 feet. The park systems of Denver are recognized as some of the most unique in the nation, with over 20,000 sprawling acres of natural parks in the nearby mountains just begging for exploration. Colorado has some of the best horseback riding in the world. At just 40 miles from Denver, A&A Historical Trails offers a wide array of rides that range from graveyards to goldmines, including a little history lesson about the surrounding area to boot. From tennis courts to croquet to cycling and running, there’s so much you can do at Washington Park, which features two flower gardens and lakes. Smith Lake is designated for recreational use including fishing, and you can rent kayaks, canoes, or for everyone’s favorite lazy summer day activity, paddle boats. If you’re more into taking in the scenery and bird watching with a blanket, try the other lake. With the famous Colorado River and several others snaking through the state, Colorado is famous for its whitewater rafting industry. Day trips as little as 30-minutes from downtown Denver are available for all ages and abilities. For the adventure seeker, the Dakota Ridge trail runs through Denver’s Red Rocks, home to the famous Red Rocks Amphitheatre. The rigorous trail is a steep climb that requires some technical navigation, but is well worth breaking a sweat for these breathtaking views. At just under 30 miles from Denver, beautiful Boulder, CO, is a must-see. From hiking the iconic Flatiron Mountains to walking around the quaint downtown area to a scenic drive up the iconic Flagstaff Road, be sure to carve out a day trip to explore this small, laid-back city in the foothills. Officially known as the District of Columbia, Washington, D.C. was founded on July 16, 1790 by President George Washington upon signing the Residence Act. The bustling capital city has been the epicenter of the U.S. government ever since, and is rich with historical context. With international organizations and embassies that represent 174 different foreign nations, D.C. is brimming with culture, and is home to famous national monuments and museums like the Smithsonian Institute. But all tourist attractions aside, there are also many outdoorsy activities for visitors in need of a breath of glorious fresh air. Over 3,750 cherry trees are located at D.C.’s Tidal Basin, a manmade inlet next to the Potomac River. The Tidal Basin was built in the late 19th Century to provide recreational space for the city, and also to drain the Washington Channel following high tide. Some of D.C.’s most well-known monuments are also located here, giving visitors a double dose of both culture and nature. This sublime 800-acre park is only 15 miles from the nation’s capital. As a small National Park Service site located in Virginia, Great Falls Park is situated along the banks of the Potomac River and—though technically disconnected—is a key fixture along the the George Washington Memorial Parkway. Just a $5 entrance fee gains you access to hiking, picnicking, and bird watching in this spectacular destination that draws a surprising number of visitors each year. With over 400 acres of flora and fauna, the impressive United States National Arboretum is run by the U.S. Department of Agriculture. Known as an “outdoor museum,” entrance to the arboretum is open daily to the public free of charge and is only 10-minutes from the U.S. Capitol. Within the city is an urban oasis, a natural hideaway to escape from the noise. Established by an Act of Congress in 1890 and administered by the National Park Service, Rock Creek Park is a sprawling park that bisects the Northwest quadrant of D.C. Learn to become a ranger, hike one of the trails, or visit the planetarium; there’s something for every traveler at this local gem. From the Constitution Gardens to the African American Civil War Memorial, the National Mall holds many of the renowned sites that travelers from all over the world flock to nation’s capital to visit. Established in 1965, the National Mall & Memorial Parks have some of the oldest protected parks within the entire National Park Service, and provide many opportunities to learn about presidential legacies and notable war veterans. While there are no picnic areas at the National Mall itself, the nearby East Potomac Park at Hains Point has designated picnic areas available by reservation. Stop by the Dupont Circle Farmers Market on a Sunday morning, and grab your farm-fresh local provisions before you begin your exciting day of adventures ahead.